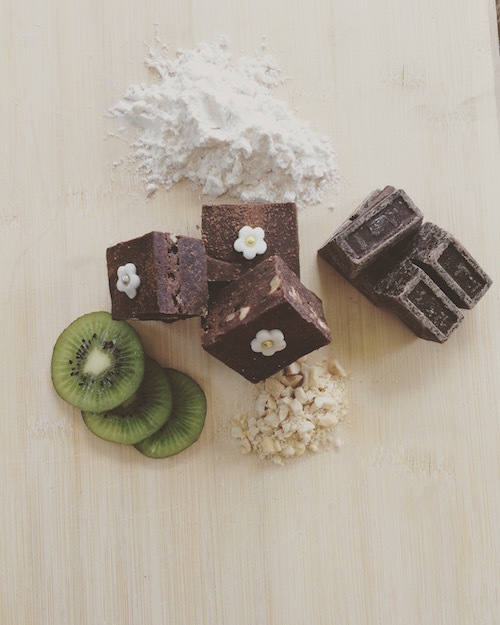 Through our post on the Toronto Bakers Market, I heard about this awesome company called Honeydew Creations that make some very delicious and beautiful food creations. 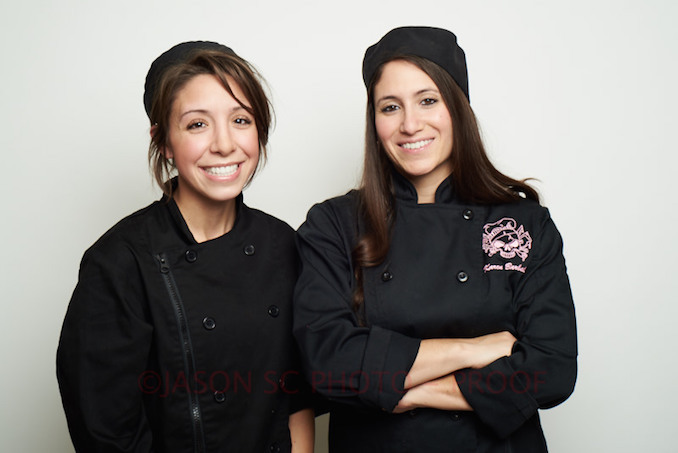 I got to chat with Certified Red Seal Chef Karen Barbalat about the company that she runs with her friend and pastry chef Laura. 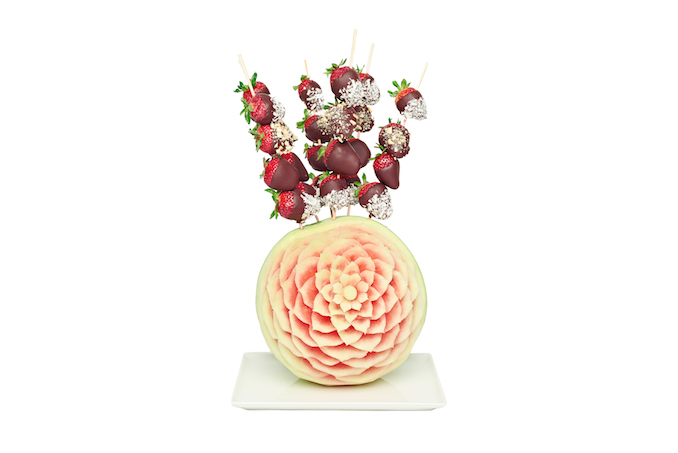 How long have you been doing Honeydew Creations? In 2010, during my work at the Hilton Garden Inn and Toscana Banquet and Conference Centre, I was introduced to fruit carving and learnt intricate fruit platter designs and execution. As I progressed in this area, I was aware of the positive reception to my melon carvings and arrangements by customers, and realized the business potential of such an enterprise. As I refined and honed my business concept, I decided to look at the art of fresh fruit, and its natural accompaniment, chocolates and baked goods. 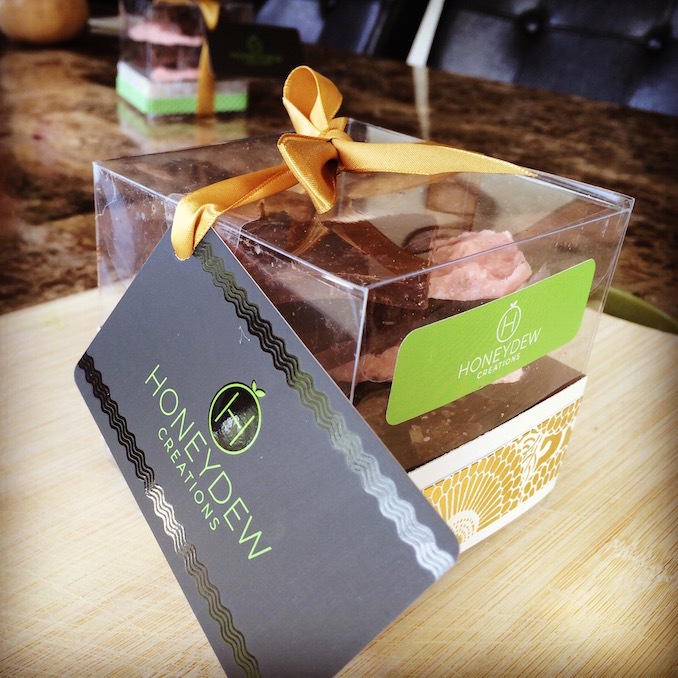 In October 2016 my business partner and I launched Honeydew Creations. Do you both do it full time? We both work at the business full time, but have other jobs as well, to keep us afloat. I currently work as a part-time assistant food services manager at a Long-Term Care facility, and Laura and I both currently work casually at Amica, a five star retirement home in Thornhill. We both work as cooks there. Anything else on the go? · We were recently featured on Breakfast Television as part of the Toronto Bakers Market advertisement. We have a clip on our Facebook page (Honeydew Creations). · We partake in markets around the city where we sell our baked goods and showcase carved centrepieces. · We are currently in the midst of looking for commercial space to have a place to call our own. 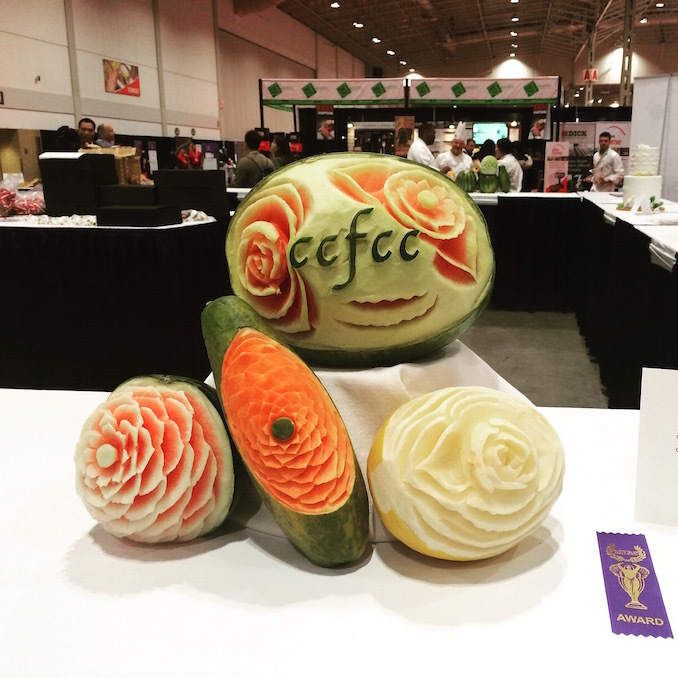 · I compete yearly at the Toronto Culinary Salon, where I won a bronze medal in fruit and vegetable carving in 2015, in a World Association of Chefs Societies endorsed competition. I compete yearly at the Direct Energy Centre at the Restaurants Canada Show. 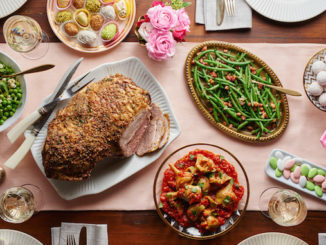 Where did the passion for being creative with food come from? Both Laura and I have culinary backgrounds. 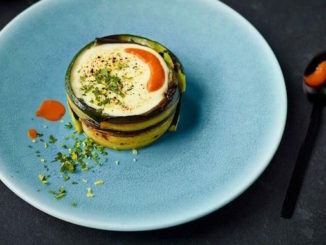 I am a Red Seal chef and graduate of George Brown College in downtown Toronto, Laura is a pastry chef who graduated from the pastry arts program at George Brown College. Both our fathers are entrepreneurs. We’re both strong willed women, we’ve worked our way through the culinary field dominated by men and found a balance between the beauty and colourful art of food, and the down in the dirt hard work and sheer endurance it takes to make through an 18 hour day in a hot kitchen. Now we feel it’s time to build something to call our own. So far our best seller is our oatmeal chocolate chunk cookie, we use boatloads of oats, Callebaut chocolate, and our secret ingredient (orange juice) to come up with a delicious, hearty, healthy yet indulgent, soft chewy cookie. Both of us are some what fitness fanatics, Laura loves to jog every single day, I am a Muay Thai practitioner, so we really appreciate the value of real nutrients, our products are real food, we don’t add any preservatives, additives, flavours or fillers. 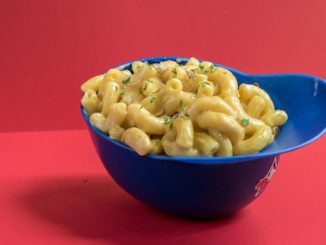 We use real butter and make our products as real chefs do, with love and proper technique. 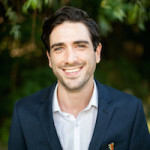 Who is your most common client? Our most common clients are women between the ages of 26-65. However, we have a lot of hungry Muay Thai students who love to eat our cookies and brownies before and after classes in the North York area. Markets go well for us as well, customers enjoy our packaged items as we have a huge focus on elegant packaging for gift giving. So clients can walk in to a market and leave with a beautiful gift for a party they have going on later, or a thoughtful gift for your mother-in law. How does healthy eating and clean food impact your menu? Laura and I are huge activists of exercising and eating well. That’s why we love offering people something that we not only believe in, but desserts we know won’t do damage to your system. We use real cocoa, quality chocolate, tons of oats, real un-sweetened coconut flakes and butter, yes, real butter. We do in fact make pastries, so our products have sugar in them, real sugar, real eggs, real butter, we don’t use hydrogenated vegetable oils or shortening/lard, fillers, additives or colours. We offer an array of fresh fruit platters and dark chocolate or milk chocolate dipped fruit arrangements as an accompaniment to any sweet table. I’m also a Nutrition Manager, currently a member of the Canadian Society of Nutrition Management, so clean eating, and making healthy choices for ourselves and our customers always comes into play. We won’t make or sell anything we are not 100% absolutely proud of and eating tons of, ourselves. Where did the artistry in carving come from? My great grandma was an artist, my grandma was an artist, my aunt is an artist, I am some sort of artist in my own way. I don’t draw pictures, but I have a steady hand, with an eye for colour and creativity. Laura has that kind of attention to detail you only see in a specific type of person, she can spot things from a mile away and has an amazing eye for beauty. She understands class and elegance and it shows in all that she does and her amazing ability to make beautiful packaging for our company. Currently we are working on finding a place to call our own, we’d really like more space to develop our products and move from mobile to store front. We’d love the opportunity to have walk in clientele, and continue to build our brand and offer people what they want. We want to create a fruit culture, work with local farmers, and potentially work in community nutrition. We’d love to have classes for those interested in learning to carve as well. We are currently mobile and offer delivery only, you may find us at the Toronto Bakers Market on September 18th 2016, and other markets throughout the year, you may order our products online through our website, call or e-mail.